Gods of Greece. . Wallpaper and background images in the Griechische Mythologie club. Poseidon... please note that he is mistakenly depicted as a merman. 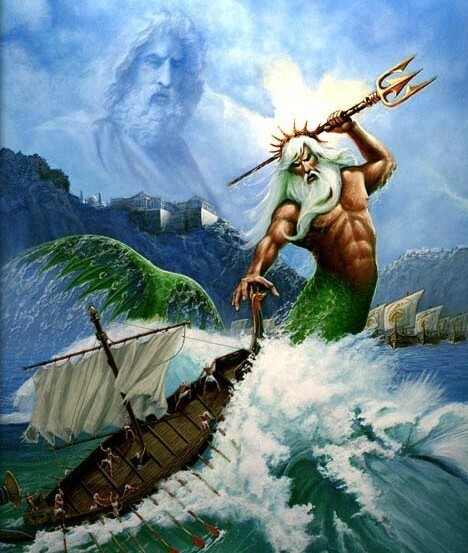 Although he was god of the seas, one must remember he was given the role by Zeus, and not born an heir. The Greeks rightdully also never depicted him so. His son by Amphitrite, Triton, was a merman.